"You're supposed to be looking after his property!" Vertical Ent. has debuted the first trailer for the comedy Drunk Parents, directed by the writer of Grown Ups and Grown Ups 2 - which should give you a good idea of what to expect, and it explains why this title is so blunt. The plot follows two alcoholic parents who attempt to hide their ever increasing financial troubles from their daughter and their social circle through elaborate neighborhood schemes. Salma Hayek and Alec Baldwin star as the parents, and the full cast includes Joe Manganiello, Bridget Moynahan, Treat Williams, Jim Gaffigan, Aasif Mandvi, and Ben Platt, with Michelle Veintimilla as the daughter. This is one of those comedies that is so dumb and so absurd it might actually be entertaining, but probably not. You already know what to expect to see here. Two drunk parents (Salma Hayek and Alec Baldwin) attempt to hide their ever increasing financial difficulties from their daughter and social circle. Through a series of elaborate neighborhood schemes, the two set out to make ends meet and maintain their wealth by deciding to sell items from a neighbor’s home and renting his mansion out. 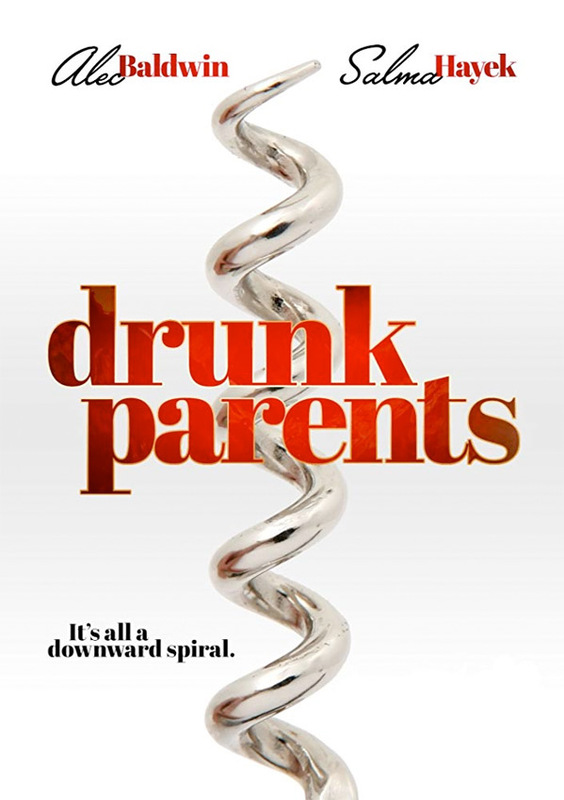 Drunk Parents is directed by American comedian / writer / filmmaker Fred Wolf, director of the films Strange Wilderness, The House Bunny, and Mad Families previously, and also a screenwriter for the comedies Black Sheep, Dirty Work, Joe Dirt, Without a Paddle, Grown Ups, and Grown Ups 2. The screenplay is written by Fred Wolf & Peter Gaulke. Vertical Entertainment will release Wolf's Drunk Parents in US theaters starting April 19th, 2019 coming up this spring. Anyone interested?